California Vacant Property Insurance. When a commercial property becomes vacant, the owners often wrongly assume their existing insurance policy will provide coverage during the period of vacancy. Since this is not usually the case, specific vacant property coverage is important for business owners to consider. 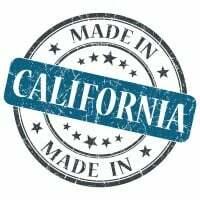 This California vacant property insurance offers broad package, or monoline, property and general liability coverage for vacant, and certain partially vacant, commercial properties, condo units, or rental space - with or without renovation work. California vacant property insurance protects your unoccupied buildings from lawsuits with rates as low as $37/mo. Get a fast quote and your certificate of insurance now. 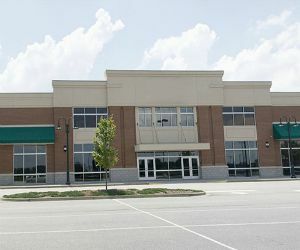 Since there are no operations there, vacant commercial properties tend to pose more risks than occupied ones. Acts of liability and fire, for instance, are potentially serious issues with a unoccupied property. Intruders might get hurt on broken floor boards or old fencing, and file a claim or sue. Some typical property insurance policies won't cover these types of risks on a vacant property, but California vacant property insurance is an option for you. Liability: Optional liability provides coverage if you're found legally responsible for an accident on the vacant CA premises, that causes injury to someone or causes property damage. All these risks and hazards will be covered by a good California vacant property insurance policy - which gives landlords the peace of mind to get on with the other aspects of their business. What Options Are Offered On A CA Vacant Building Policy? Named Peril Coverage - This covers "perils" (things like fire, explosion, lightning, wind and hail) that are specifically named in your California vacant property insurance policy, subject to exclusions and conditions. Agreed Loss Settlement (Total Loss) - If your unoccupied property is destroyed by a covered loss (a total loss situation), you receive the full amount of insurance you purchased on your California vacant property insurance policy, minus any applicable deductible. Landlord Flexibility - If you rent your property, and it goes vacant between tenants, you can cover it with a CA unoccupied property policy. When someone moves in, it can easily be endorsed to a landlord or owner-occupied policy, all without having to cancel the policy or write a new one. (not available in all states). Short Term Coverage - You don't have to insure your vacant commercial property for the usual 12 months required by a normal policy. Most firms allow you to arrange cover for three, six, nine or 12 months, with the option to extend if necessary. So, you might take out a three-month policy to cover your CA property while it is up for sale. But if the sale takes longer than expected, you could simply extend the policy as required. Request a free California Vacant Property insurance quote in Alameda, Alhambra, Anaheim, Antioch, Apple Valley, Bakersfield, Baldwin Park, Bellflower, Berkeley, Buena Park, Burbank, Camarillo, Carlsbad, Carson, Chico, Chino Hills, Chino, Chula Vista, Citrus Heights, Clovis, Compton, Concord, Corona, Costa Mesa, Daly City, Davis, Downey, El Cajon, El Monte, Elk Grove, Escondido, Fairfield, Folsom, Fontana, Fremont, Fresno, Fullerton, Garden Grove, Glendale, Hawthorne, Hayward, Hemet, Hesperia, Huntington Beach, Indio, Inglewood, Irvine, Lake Forest, Lakewood, Lancaster, Livermore, Long Beach, Los Angeles, Lynwood, Manteca, Menifee, Merced, Milpitas, Mission Viejo, Modesto, Moreno Valley, Mountain View, Murrieta, Napa, Newport Beach, Norwalk, Oakland, Oceanside, Ontario, Orange, Oxnard, Palmdale, Palo Alto, Pasadena, Perris, Pleasanton, Pomona, Rancho Cordova, Rancho Cucamonga, Redding, Redlands, Redondo Beach, Redwood City, Rialto, Richmond, Riverside, Roseville, Sacramento, Salinas, San Bernardino, San Buenaventura, San Diego, San Francisco, San Jose, San Leandro, San Marcos, San Mateo, San Ramon, Santa Ana, Santa Barbara, Santa Clara, Santa Clarita, Santa Maria, Santa Monica, Santa Rosa, Simi Valley, South Gate, Stockton, Sunnyvale, Temecula, Thousand Oaks, Torrance, Tracy, Turlock, Tustin, Union City, Upland, Vacaville, Vallejo, Victorville, Visalia, Vista, Walnut Creek, West Covina, Westminster, Whittier, Yorba Linda, Yuba City and all other cities in CA - The Golden State.